This guide provides over a dozen self awareness activities and exercises to increase emotional intelligence and strengthen your self-leadership abilities. It translates to “know thyself,” a famous aphorism often attributed to Socrates or Plato. At first glance, we might discount this phrase as rhetoric. Sure, I know myself, you might lament. I know who I am. On closer examination, however, we can’t be so certain. Do we know why we behave the way we do? What drives our decisions? How do we really feel about ourselves and the people in our lives? How do we really feel about ourselves and the people in our lives? While awareness is knowing what’s happening around you, self-awareness is knowing what you’re experiencing. Self-awareness is the ability to know what we are doing as we do it and understand why we are doing it. Consciousness enables individuals to monitor what is going on, to be aware of the nature and quality of events as they occur, and to perceive their meaning. If we are not consciousness, we are unconscious. When we are unconscious, we lack self-awareness. A large body of research shows the extraordinary range of unconscious biases and blind spots humans have. Behavioral Economist Daniel Kahneman, author of the bestseller Thinking, Fast and Slow, shows that despite our confidence in our self-knowledge, we are usually wrong. As it turns out, we aren’t as self-aware as we might think. Self-awareness is the foundation for emotional intelligence, self-leadership, and mature adulthood. With it, we can grow and develop. Without it, we are like a leaf riding a wind current. Self-awareness is a skill. In any skill, learning goes through four primary stages. The first stage is unconscious incompetence. When we start something new, we aren’t aware of how poor we are at it. Try to play a melody on an instrument you’ve never played before, and you’ll know how unconscious incompetence feels. It is because of the discomfort this incompetence brings that we often avoid learning new things. Learning self-awareness requires the same discomfort. As such, most people go through life without developing self-awareness. Yet, self-awareness is a foundational skill essential to anyone interested in authentic personal development. The key to developing self-awareness is the same as with building any skill: you need to the right methods combined with consistent practice. Thankfully, there are many self-awareness activities and exercises designed to increase our sensitivity to what’s going on inside us. When most people talk about “knowing thyself,” they are referring to their mind. Our cultural bias since the Age of Enlightenment (the 1700s) has been for toward reason, logic, and cognition. We can section the brain into three parts: neocortex, limbic system, and basal ganglia. The neocortex is the thinking or learning brain. It controls language, thought, and reasoning. Much of the information in the neocortex is conscious, meaning we can draw on it at will. The limbic system is the emotional center. It stores value judgments we make and memories of behaviors that produce positive and negative experiences. Information from the limbic system is largely subconscious. That is, this information is just below the surface of our awareness. The basal ganglia is at the root of the brain. This is our instinctual center. Information travels from our gut to this primitive region without going through the other brain regions. Information from the basal ganglia is mostly unconscious. We generally can’t access this information. To build self-awareness, we must strengthen our conscious connection to all three brain regions. Different self-awareness activities strengthen connections in various brain regions. Most attempts to develop self-awareness fail because they only target the neocortex (thoughts, beliefs, biases). Our goal is to become more conscious of what’s driving our behavior. To accomplish this, we need to increase our sensitivity to our emotions and instincts—the information we rarely access with our conscious mind. Then, we can explore our thoughts, beliefs, and biases with greater results. Before we attempt to cultivate self-awareness skills, it’s important to find our center. Centering must always be the first step because it increases our attention. Attention is essential for learning, understanding and developing in any area. For a powerful and simple practice you can use each day to access your Center quickly and consistently, check out The Mastery Method: Activate Your Higher Potential. Mindfulness is a form of observational meditation where meditators place their awareness on a focal point. This point can be the breath (the process of breathing) or our thoughts, but it can also be on any information coming in through our five senses. Developing this observing self is the key to developing self-awareness. This observing mind is a primary function of the Magician archetype. And when we activate it, we gain a unique perspective on our life experiences. The reason we are largely unconscious to our behavior is that our egos act autonomously. We have no one monitoring our thoughts, feelings, actions, and behavior from moment to moment. Through observational meditation, we create a space between the doer of actions, the thinker of thoughts, and the feeler of feelings. The observing self can then monitor our thoughts, feelings, and actions with objectivity. It’s important to understand that we don’t have this observing self unless we develop it. Without this inner observer, we can’t develop self-awareness. Humans no longer have instincts in the animal sense, powerful, unmistakable inner voices which tell them unequivocally what to do, when, where, how and with whom. Authentic selfhood can be defined in part as being able to hear these impulse-voices within oneself, that is, to know what one really wants or doesn’t want, what one is fit for and what one is not fit for, etc. Reconnecting with our body/instincts is an integral part of developing self-awareness. 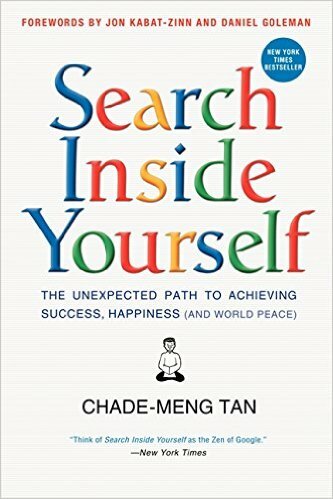 For anyone interested in developing self-awareness, I recommend exploring Tai Chi, Qigong, or Yoga. The aim of these practices is to strengthen a body-mind connection. Zhan Zhuang: a Chinese standing meditation that helps you develop a deep level of body sensitivity. Grounding Techniques: a series of exercises for grounding yourself in your body and reconnecting to the Earth. These activities don’t require a lot of time to get started, and you will develop greater self-awareness skills of your body right away. Also, see my program, The Mastery Method. Your personality is a collection of patterns. These patterns include thoughts, beliefs, worldviews, feelings, tendencies, and behaviors. Our experiences and environment condition these patterns into us. Most of these patterns lie below the surface of our awareness. By getting to know our personality, we bring these patterns into consciousness increasing our self-awareness. Personality tests. Assessments like Enneagram and Myers-Briggs provide insights into the dominant patterns of behavior for your personality type. Strengths assessment. The Values in Action Strength Test from the University of Pennsylvania will highlight your most natural strengths and your weaknesses. Self-reflection. Take time each evening to reflect on your behavior for the day. How do you perceive yourself? How do others perceive you? What can I learn from observing my behavior today? Personal values. Core values answer the question: what’s most important to me? When you become aware of your personal values, you can evaluate if you’re living in accord with them. Personal vision. We have an ideal future self. This future self is our realized innate potential. Maslow found that self-actualizing individuals all have a sense of destiny. Invest time to clarify your personal vision for the future. Journaling. Capturing your inner thoughts and feeling in a journal helps us objectify them. Shadow work. We are complex creatures with opposing tensions within us. For every aspect of our character we identify with, an opposing quality lives within our unconscious. Shadow work seeks to bring these opposing qualities to light so they won’t influence our behavior. Inner Dialogue. Within our minds is a family of inner voices (or subpersonalities) with their thoughts, feelings, and behaviors. Dialoguing with these characters out loud or in a journal helps us develop self-awareness of our emotional terrain. See Jay Earley’s Self-Therapy (audiobook) for a step-by-step process. Observe others. We are all more alike than we are different. In observing other people, we can often learn a great deal about our behavior. All of these activities and processes help you get to know your personality, improve intrapersonal intelligence, and build self-awareness. A primary way a coach helps their clients build awareness is by giving effective feedback. If you practice shadow work, one thing many people notice is how much easier it is to observe other people’s shortcomings than your own. In corporate environments, many organizations use 360-degree feedbacks, an assessment tool for providing employees with performance feedback from their supervisor and up to eight peers. What behaviors do you believe are limiting my potential? How do you feel when you’re talking to me? What do you think I’m good at? What are some of my weaknesses? If you had to describe me to someone, what would you say? Is there anything you avoid saying to me because you’re afraid of how I’ll react? You can only ask these questions to a trusted confidante and from a place of openness. Self-awareness is a skill that helps us monitor our behavior and to better understand our motives and ourselves. Like any other skill, we can develop self-awareness with the right methods combined with consistent practice. The stronger our observing self becomes, the more space we have between us and our thoughts, feelings, and actions. Most people fail to develop self-awareness because they don’t get rooted in their bodies first. We need to integrate the various regions of our brain that guide our instincts, feelings, and thoughts to increase our self-awareness. By practicing a range of self-awareness activities and exercises, we can address our body, emotions, and thoughts. This integrated approach is the key to cultivating true self-awareness. 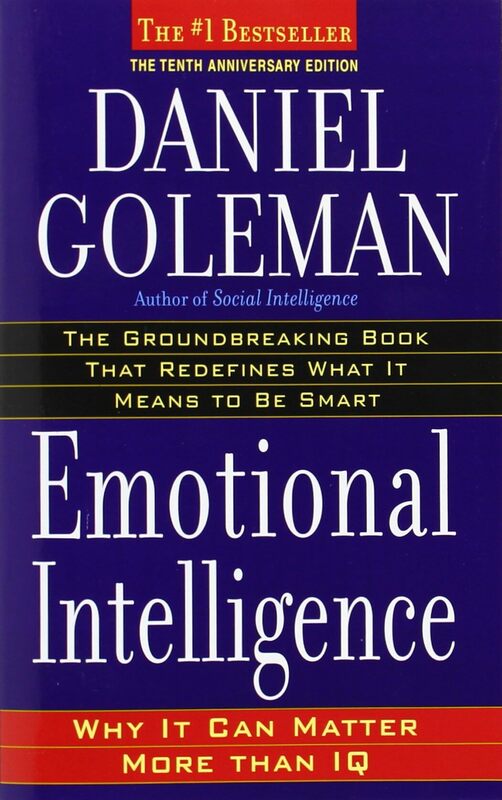 The reason Goleman’s book is still relevant over 20 years after becoming a bestseller is that no matter how many times we’re told that there are different kinds of intelligence, most people still equate “intelligence” with IQ and cognition. But 20 years of research, especially in the business sector, has revealed that it’s emotional intelligence, not cognitive intelligence, that defines high performance and lasting success in business and life.